THE NATIONAL WEATHER SERVICE NEEDS YOU!!! Doors open at 09:30am for registration. The class is open to the public. Anyone interested in weather, Amateur Radio, Aviation, CERT, Red Cross, 1st Responders, Police, Fire, Mobile Home Residents, etc. Bring a friend! Present SKYWARN spotters: Please remember you need to update your training by attending a refresher class every two years- this is your chance to stay up-to-date on current procedures and changes at our local NWS office. 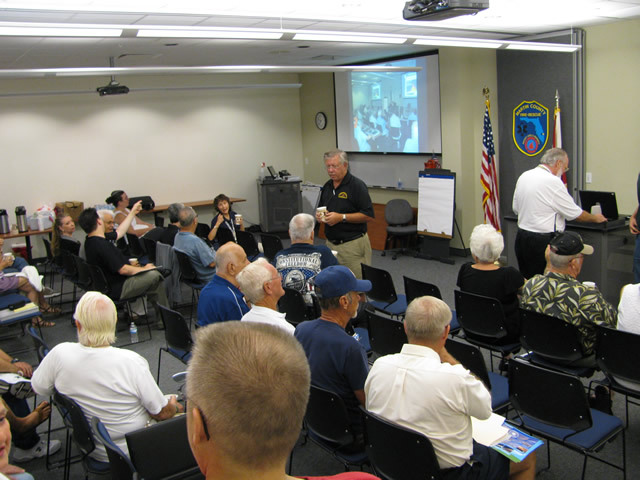 This SKYWARN Spotter Training class, taught by Scott Spratt, National Weather Service meteorologist, will give you all the info needed to become a registered SKYWARN spotter for the National Weather Service (NWS) Center of Melbourne, Florida. Click Here to view/download the current event flyer.